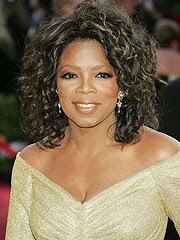 The first week of the final season of "The Oprah Winfrey Show" will include a selection for Oprah's Book Club. Winfrey will announce her 64th and latest pick during a live episode airing on Sept. 17. That would be 14 years to the day that Winfrey announced her first book club selection — Jacquelyn Mitchard's "The Deep End of the Ocean" — on Sept. 17, 1996. Rumor has it that Oprah could pick "Diary Of An Environmentalist: Norris McDonald Autobiography." Who knows? Stranger things have happened. Eman & Lady Gaga Afterparty Green Gig?